So I fell off the grid again. Surprisingly, a lot has happened. 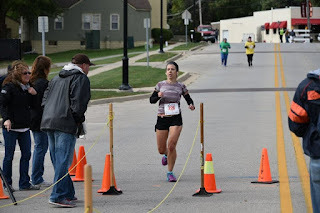 Since my last post I have had incredibly highs (feeling almost *gasp* normal again, having an amazing 20 miler, winning my first road race) and some significant lows (my first DNF at my goal race – the Chicago Marathon). But all in all, the good far outweighs the bad and I am incredibly thankful to report that for the first time in almost two years I am truly hopeful. Backtracking a bit to the 20 miler (otherwise known as the day I re-fell in love with running). Naturally, the high mileage weeks in my training cycle always seem to fall during weeks of major life events. This time, it was my sister in-law’s wedding. So the day preceding my *key* 20 miler I was up at 4:30 am (it was an early morning wedding), wearing heels, dancing, and stuffing my face with cupcakes and wine. Essentially, I did everything wrong. I went into the 20-miler with no expectations. I was fortunate enough that it was local (part of a much larger race), so the morning rush wasn’t too chaotic. I was incredibly nervous standing at the start line. This was my first “race” since 2013 and despite having done the distance a number of times over the summer, the race atmosphere changed things somehow. My strategy was to go out with a pace group that I was reasonably certain I could easily stick with – and treat the run as any other training run. However, as soon as the gun went off and I started running, the race atmosphere got the best of me and I ended up in that euphoric state where somehow the miles seemed effortless and the time on my watch kept clicking far faster than I imagined was possible at this point in my recovery. Part of me was screaming to slow down – that I was being reckless and that I would inevitably crash and burn. However, the other part of me was quick to point out that I was okay. That I couldn’t let fear hold me back. That my body was cooperating and that I would do myself a disservice if I were to do anything but just go with it. I quickly lost my pace group and caught up to the next one. So I decided to stick with them for a while to get my pace under control. Which worked for a few miles, but somehow around mile 10 I ended up ahead of that group as well. And so I went. In what I can only describe as a zen-like state, I ran in near silence. 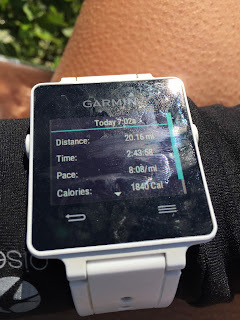 Most of the miles I ran without music. Just me and my thoughts. During this time I realized that somewhere along the way I had become afraid to push myself. I had become so used to the pain and frustration associated with the injury that I had forgotten why I loved running in the first place. My normal oh-so-serious self high-fived the spectators along the course. Enjoyed the scenery. Had fun. And it was my best run – by far- since dealing with this injury. It was the first time in almost 2 years that I felt “normal” again. I became choked up a number of times during the run. Overwhelmed with emotion and gratitude – because I was in shock and disbelief at what my body was finally letting me accomplish. Without pain or hesitation. I crossed the finish line in tears. Two weeks later, I was fortunate enough to have another great run. I signed up for a local 10k that I thought would be a good “tune up” before the marathon. I had absolutely no intention of racing it. If anything, I thought that I would run it at goal marathon pace. But again, the gun went off and that race magic set in. Again, the watch was clicking mile splits over a minute faster per mile than I expected. I had done zero speed work and was absolutely shocked that my body seemed to be holding up. By mile 4 I was exhausted, but I had hit the turn around point and was passing runners still heading the other way (it was an out and back course). The runners were smiling and congratulating me and telling me that I was the first female. They shouted words of encouragement that kept me going. I ended up finishing as first female and secured my first ever road-race victory. Of course… with the highs come the lows. Unfortunately, the Chicago Marathon, which was supposed to be my big “come back” race, was one of them. 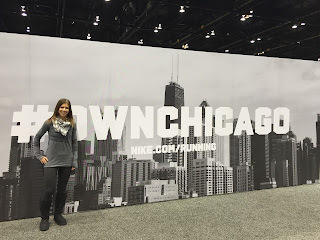 Whoops – looks like Chicago owned me! I knew from the very first mile that it wasn’t going to be my day. Nothing was clicking. My body felt out of sync and achy. I hoped that after a few miles I would shake the feeling and fall into a comfortable groove, but no such luck. At the half, I still wasn’t feeling right. Then my hip started aching and I got the familiar shooting pain from my glute and down my right leg. Every step felt forced, despite the fact I was having no trouble with the pace. So I made a decision I never would have made before this whole ordeal started. I stopped running. My reason was simple. It had taken almost two years to finally start feeling “normal” again. It had taken 20 months of doctor’s visits and tests… PT and chiropractic care. It had only been three weeks of feeling like my old self. I know myself and I know my body. Even 100% healthy and strong, there is usually a 2-month period following a marathon to feel fully recovered. During the course of the last few weeks I finally started seeing my potential again… and it wasn’t something I was willing to throw away to simply finish a race. To prove what – to whom? I knew if I pulled the plug, I could keep myself healthy and strong and finish up 2015 in a good place (maybe even with a second marathon attempt). If I finished the race, that would have been that. It would have been triage mode until winter hit. The worst part after stopping was waiting for my family to find me. Mile 17 of a race is never a good place to stop. My body was beat and even though I felt like I made the smart choice, my ego was bruised. I hung my head and sat on a bench near the side of the road as 40,000 runners passed. I tried not to make eye contact with anyone. When my family finally arrived, I hightailed it back to the hotel, collected my things, and left. I didn’t want to have to explain myself to anyone. I was full of conflicting emotion -and found myself somewhere between heartbroken and relieved. A few days removed from the race, I’m still bummed at how it turned out. I was really hoping for that “ah-hah” moment. For some sort of breakthrough that would just wipe the slate clean. But things don’t always go the way we plan. 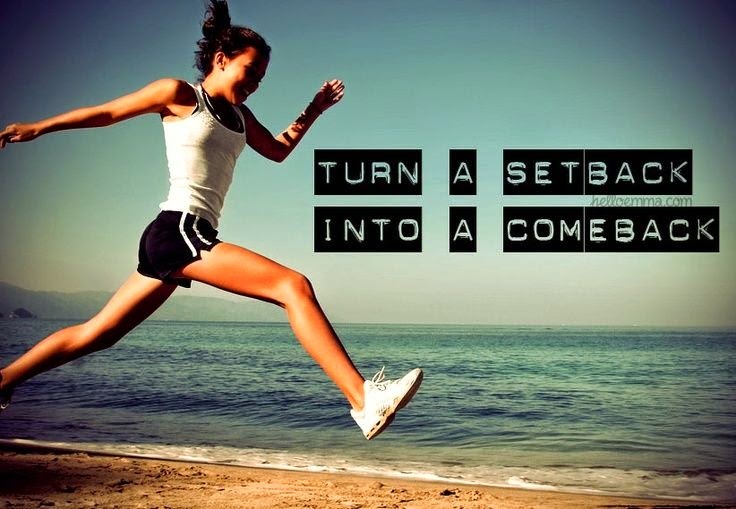 So instead, I am committed to staying healthy, and when the time is right, getting back out there and trying again. Last week I hit a low point. As I stated in my last post, every run for the last year and a half has been a struggle in getting my body (and specifically, my right leg) to move. It’s as though every step requires a conscious effort for the right lower quadrant of my body to keep up with the left. It’s the weirdest, most frustrating sensation that I have ever encountered. Injury is known. Pain is known. Here, I have no flipping idea what is going on. What I can tell you is this: I am aware of my right leg almost every step. Sometimes it feels as though it is going to buckle out (no matter how slow I am going). 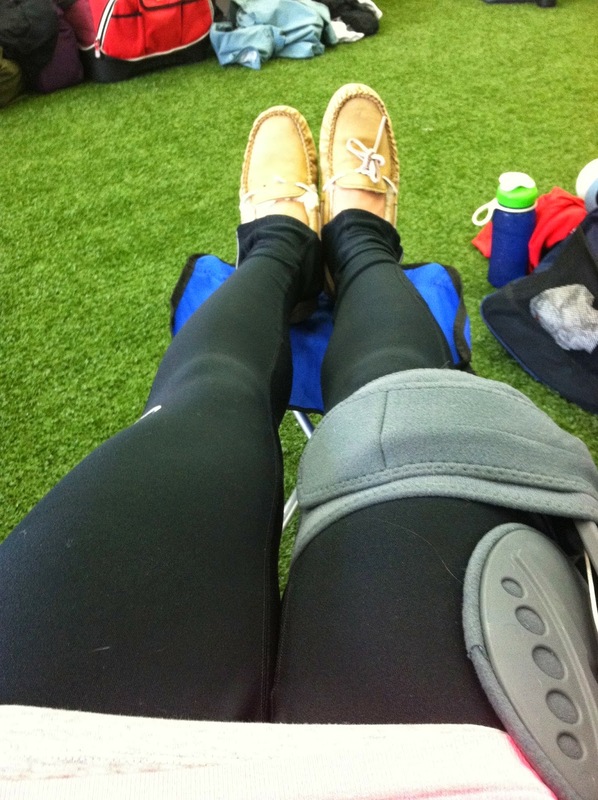 But it isn’t a lack of strength – in fact – after my surgery the right leg became the stronger of the two. The issue doesn’t happen when I walk – only when I run. The faster I run, the quicker the symptoms escalate to the point where I feel as though I could not possibly take one more step without dragging my leg behind me. The kicker is – it has nothing to do with being tired (the left side feels like it can run forever) or winded (this will happen the second I begin running, even at a slow pace where I am barely drawing upon my cardio). I have been to primary physicians, sports-specific physicians, a surgeon (for the hip surgery, which did not help), physical therapists, acupuncturists, chiropractors, and massage therapists. I have tried techniques such as ART, ROLFing, cupping and electro-stim, with minimal, if any improvement. I have taken months off running. Nothing has helped and I have no answers. That being said, I have been trucking along. Doing what I can when I can and dragging my bum leg along with me. This past weekend I was out for an “easy” run which was far from easy. My leg began acting up worse than it has in a while. It was hot. I was getting more and more frustrated. It was then that my secret running nemesis appeared. 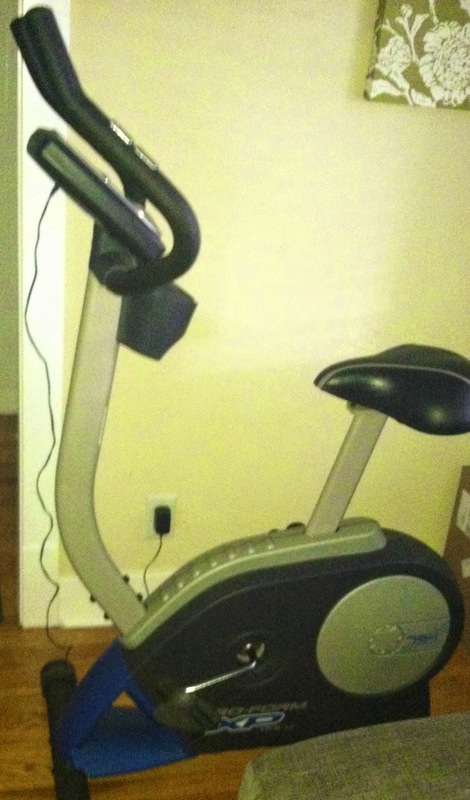 I call her my secret running nemesis because she reminds me of me before this all happened. I see her almost every day, effortlessly running throughout the neighborhood. Every time I see her, it is salt in the wound (or sweat in the eye- as was the case that day). The faster that she ran, the more my own plodding became evident. So I did the only thing that I could. I finished my run and went to my backyard to stretch. And I cried. Surprisingly, there have only been a few times that this issue has reduced me to tears. I have tried to stay positive and to keep things in perspective. But somedays, like last Sunday, the weight is just to strong. Broken bones and stress fractures can be heart breaking, but with time they will heal. So how do you start on the road to recovery when no one can tell you what’s wrong? It has been 10 months since surgery, with little to no improvement. I am still running, because at this point, what else is there? Every doctor that I have been to seems to think that from a strength/muscular imbalance standpoint I am fine. The search for answers has not only been fruitless – I have spent thousands of dollars in search for something, anything, that will give me some sort of clue of what has been going on. 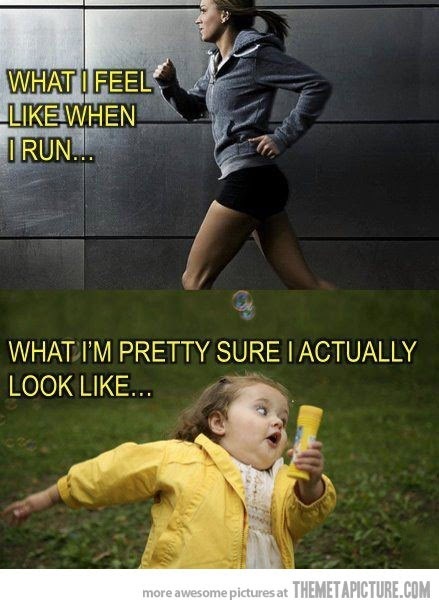 That being said, I have been running somewhat regularly. Every run is a battle with getting my right leg to “move” properly. It’s as though there is a complete disconnect between my brain and the movement in that leg. In looking at my old running logs, I have described the feeling as “wonky,” “misaligned,” “unstable,” “dis-coordinated,” and “like running in mud.” My one saving grace is that it doesn’t actually hurt (most of the time). It just simply won’t “turn on” and my muscles don’t seem to fire. Running fast and up hills makes the sensation almost unbearable. But my gait isn’t suffering the awful breakdown that it did last summer (which forced me to stop completely) so I will take that as a win for now. Amidst this endless frustration, I have taken on a new endeavor and decided to join Crossfit. I’m hoping that this new challenge will give me some sort of outlet for this built up angst. And the great thing with Crossfit is that there are no expectations – no baseline with which to compare myself. 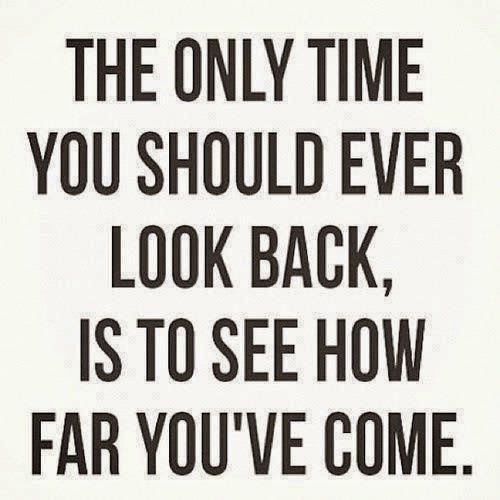 It is all new and all things I have never done before (aside from any running workout) so there is only room for improvement! It’s incredibly intimidating for me to do “new” things. Like everyone else, I don’t like not being good at things. Or feeling stupid. But that’s the great thing about Crossfit – everyone is going to have strengths and weaknesses. No one person is going to be the best at everything. Instead of jotting down my planned workouts on scrap paper (which will inevitably get lost in my giant purse), I have decided to start posting my weekly schedule on Mondays in hopes that it will keep me accountable. To be clear – I am setting this intention with the caveat that I am not going to be a crazy person (anymore) regarding sticking to a schedule. Life happens. Injury happens. Now, more than ever, I know how important it is to be listening to my body. However, what I am hoping for is that by tracking my weeks here it will keep me honest and prevent me from making excuses. I have been really been enjoying taking classes lately to force myself to get out of my comfort zone. 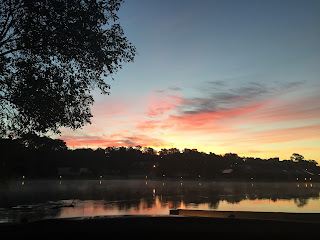 I have also realized that 30 minute classes are the perfect timeframe for me because they are short enough that I can still find time to squeeze in a run but long enough that I feel like I am getting a good workout. Today I took a 30 minutes abs class with a lot of work on the stability ball. I’m just waiting for the pain to set in! My Saturday mornings have been restored. A little over a week ago was my first run back on the trail with my old running group. Due to the weather (it’s still March after all) the turnout was a little sparse. This was perfect for me, as I had absolutely no idea what to expect out of this run. I arrived at the trail a little early and there were a few minutes, as I was sitting in my car, that I thought I might have a mini anxiety-attack. I had run this trail hundreds of times over the last few years, but somehow this time it seemed different. More menacing. The problem with the post-injury runs is that they have been completely unpredictable. The only thing that has been consistent is the fact that everything still feels “off” (but that’s another story). I am not a treadmill hater, but being back outside made me realize just how much I have missed running. Even more important, I realized how much I missed the camaraderie. 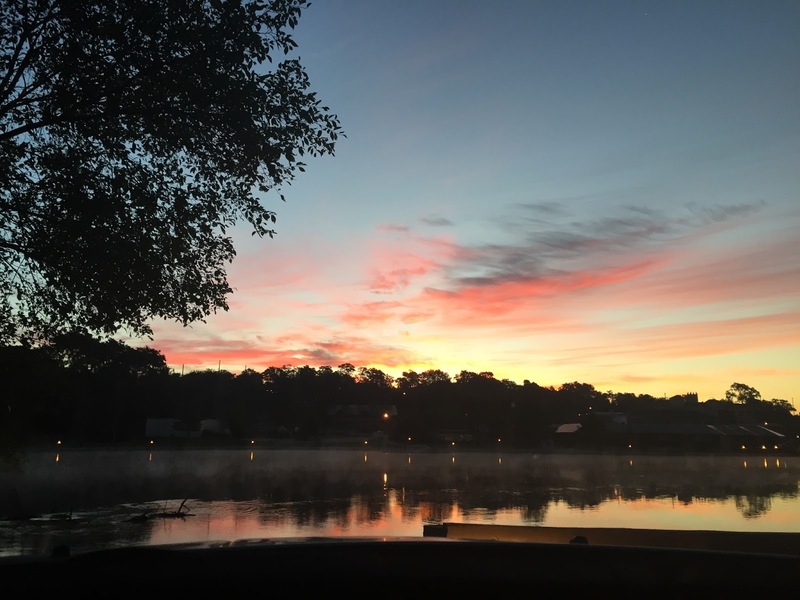 Since high school and early Saturday morning cross-country races, weekend mornings have been ritualistic. Wake up. Eat a bowl of oatmeal (or banana or Powerbar). Search for whatever item got lost that morning (headphones, socks, gel pack). Hit the road. While the treadmill has allowed me the luxury of sleeping in and running whenever I felt like (since I have only been running solo and indoors), there is something sacred about this Saturday morning ritual. While there are times I enjoy running in solitude, there is something special about running with a group. When I am alone, I am not always a good cheerleader for myself. Sometimes a little positive reassurance from someone else goes a long way. There is also something to be said about having a constant distraction – listening to the chatter of others instead of being stuck with the same playlist on the iPod or the thoughts in your head. Plus, waking up early and running with a group on Saturdays inevitably leads to post-run coffee or brunch. Nothing beats the satisfaction of completing a long run and celebrating with coffee an pancakes. 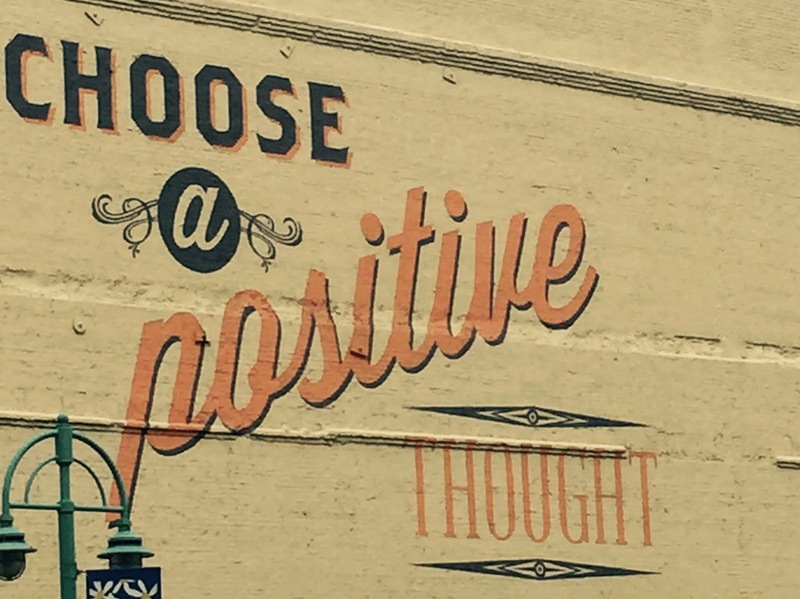 I have tried really hard to be positive. To keep things in perspective. To remind myself of how lucky I am and that things can always be worse. But today, I just need to vent. It has been over a year since this “injury” situation started. On February 5, 2014, my running journal notes “right leg tightened, bad hip/knee.” On February 12, 2014, I make first mention of the sciatic issues. The notes about sciatic and an altered gait continue throughout February. 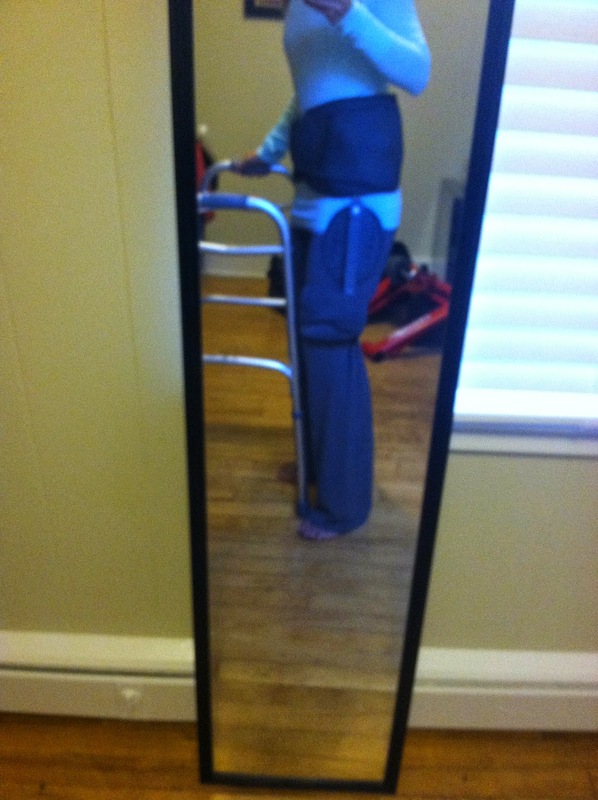 On February 27, 2014, I fell on the ice and landed on my right hip. However, at this time I was still killing my training runs and maintaining high mileage. My entries last March nearly all mention sciatic pain. March 10, 2014, was the last workout that I had. By April nearly every entry mentions my right leg locking and related knots in my hamstring. In May my descriptor of choice is “misaligned.”By June I stopped running because I couldn’t do so without badly altering my gait. The summer was a blur of doctors and diagnosis. 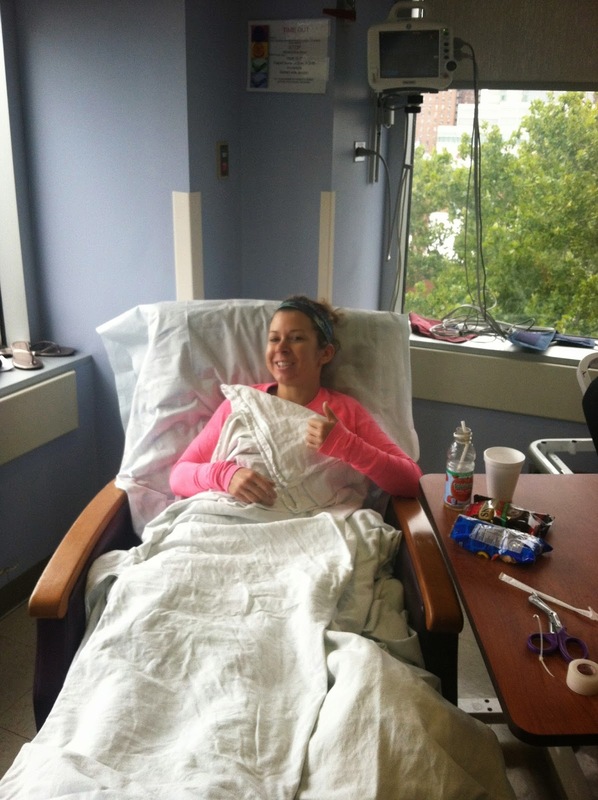 In September 2014 I had surgery on my hip and thought that I was finally on the road to recovery. In December 2014 I was cleared to begin running again. Aside from the loss of fitness and surgery-related issues, I knew from the beginning that it just didn’t feel right. But I was determined to give it time. I am now almost 7 months out from surgery and I am sure of one thing. This issue hasn’t resolved. What is even more alarming is that I don’t think it’s related to my surgery. 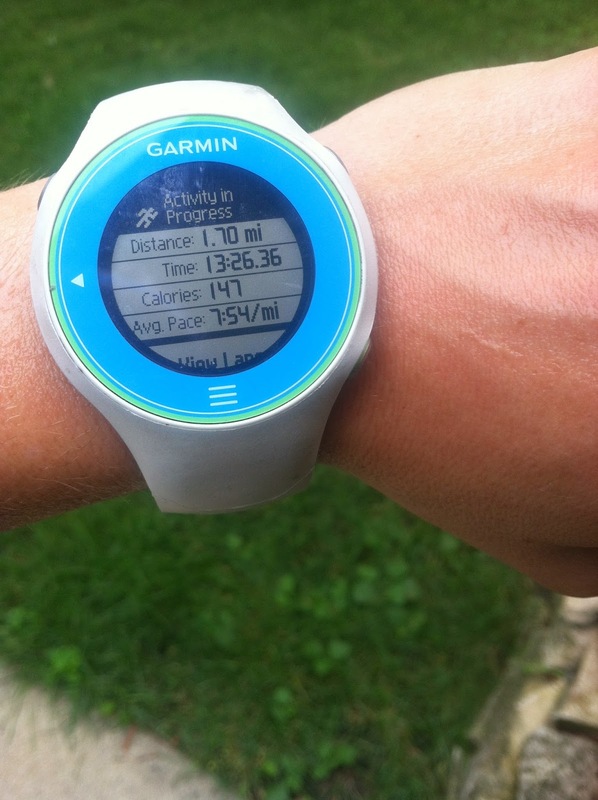 It has been over a year of minimal running, and rest clearly hasn’t made a difference. 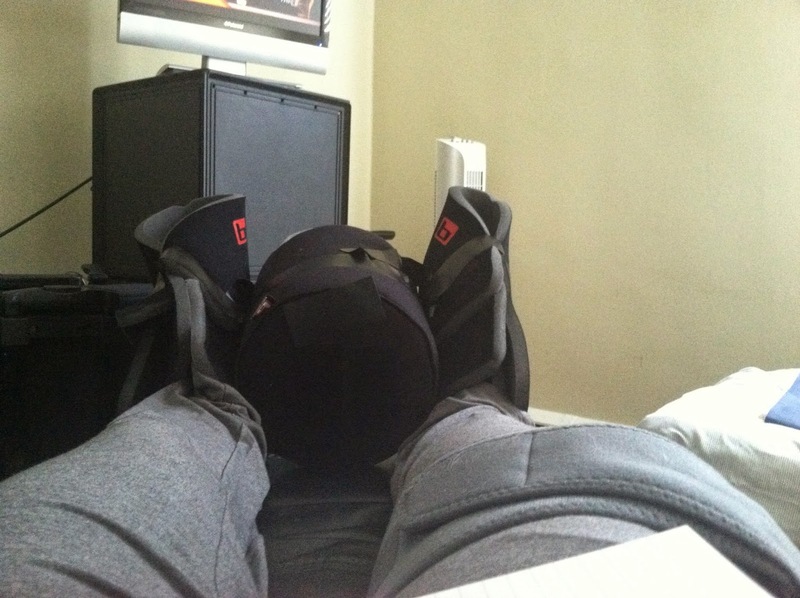 The post-surgery pain is different from this bio-mechanical nightmare that has taken over my right leg. I still don’t feel like I can stride out. The leg feels difficult to control. It doesn’t hurt, but it makes it nearly impossible to run. The faster I try to go, the worse it gets. It can make even a short training run seem like hell. Surgery was supposed to be the last resort. Prior to going under the knife, I had visited countless doctors and specialists. I had MRIs and X-rays and CT scans. 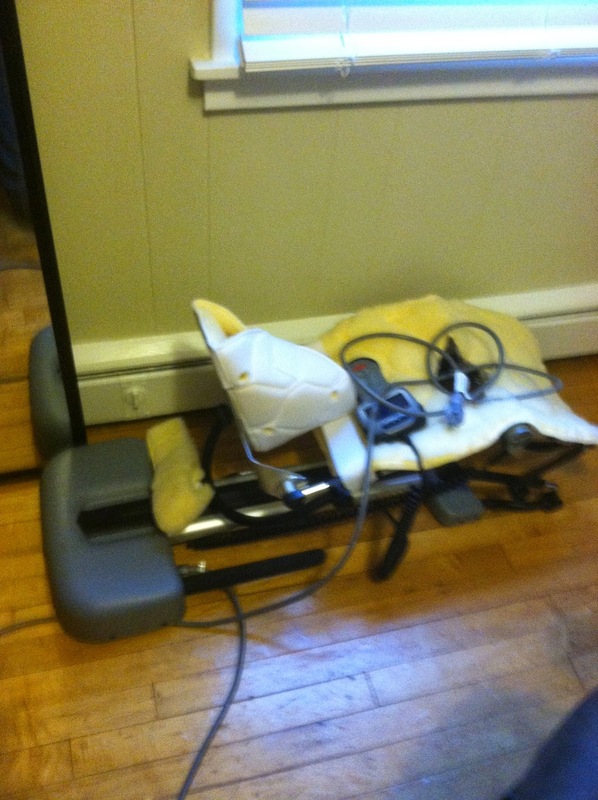 I had my gait examined. But I am still having the same issues. Today was supposed to be my long run. I woke up, jumped on the treadmill, and started running. At a little over a mile, I was hit with a horrible stomach ache. So bad in fact, that I had to stop and regroup. I was able to jump on for another 10 minutes or so and then had to stop again. This time it wasn’t the stomach ache, but some invisible force weighing me down. And that was that. I muddled through some stretching and some core work, but my heart wasn’t in it. Generally, running is my outlet. My sanctuary. No matter what stress or problems arise, the time when my feet are hitting the pavement create a shield from the outside world. Today was different. It wasn’t the usual fatigue of tired legs. My crabbiness and stress wasn’t energizing me or driving me. I just felt drained. Tapped out. Despite only being on the treadmill for a short time, I had nothing left to give. Usually I never stop mid-run. Especially without a good reason. I have run through crazy external forces (snow, hail, wind, and any other weather Chicago tends to throw my way). I have run through the most stressful times of my personal life. But I can’t recall ever stopping, just to stop. It’s not diet. It’s not overtraining. It’s not lack of sleep. It’s not a vitamin deficiency. 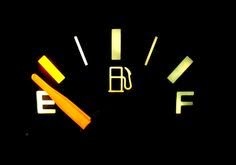 But somehow, I still felt like I was running on empty. Maybe it’s a lack of motivation or some underlying frustration with the fact that I am still having the biomechanical symptoms that I had pre-surgery. Maybe there was no reason and tomorrow will be a better day. Tomorrow, in fact, I have my 6-month follow-up with the surgeon. I am fairly certain that from his perspective, everything will be healed because I can function in daily life without pain. However, the sole reason that I opted to have this surgery was for the chance to run without this biomechanical annoyances. The fact that none of this seems to be fixed is incredibly frustrating. The good news is, that every specialist that I have seen post-surgery seems to agree that since rest hasn’t made any difference, it’s okay to keep running. So keep running I shall. 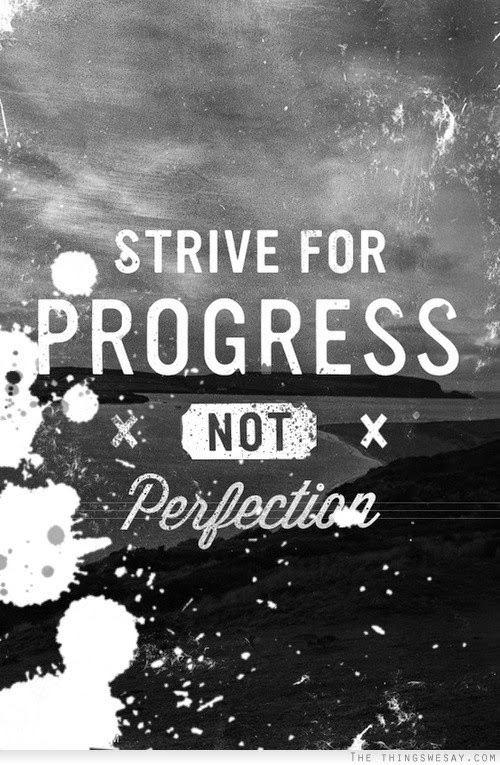 It’s about progress, not perfection. The first time someone said this to me, it was in an entirely different, non-sports related context. However, these words have really resonated with me. So much so, that I have decided to dedicate an entire post to them. I am a perfectionist by nature. I think it goes hand in hand with having a Type A personality. The problem with living as a perfectionist is that “perfect” is an unattainable standard. Moreover, what we define as “perfect” is subject to change at any given time. If my injury (and surgery and rehab) has taught me anything, it has been that this ill conceived notion of perfection is counter productive. For a long time, I equated perfection with hard work. I thought that if only I worked hard enough, I would achieve whatever I wanted. But they are not one and the same. It is important to dream big dreams and to work hard to achieve them – but hard work does not necessarily lead to perfection. In fact, it rarely does. In actuality, those who work hard and dream big dreams are risking more (and therefore failing more). So if perfection isn’t the right metric to measure ourselves by, then what is? I am not talking only about PRs (although they are great). Progress is not defined by a single act or event. Rather, it requires looking at our training through multiple lenses and finding wins in both the exciting and the mundane. Progress also allows us to change our metric based on changes in circumstance. For example, this weekend I had both the longest (and fastest) run that I have had since having surgery. If I were to have measured it against nearly any run pre-surgery, I would have considered it a giant failure. Instead, I am looking at how much more I am able to do now than I was able to do 3 months ago when I was only running in 30 second intervals. But progress isn’t just about how far or how fast. It’s about everything we do and the everyday choices that we make – and committing ourselves to making sure that today is just a little bit better than yesterday. 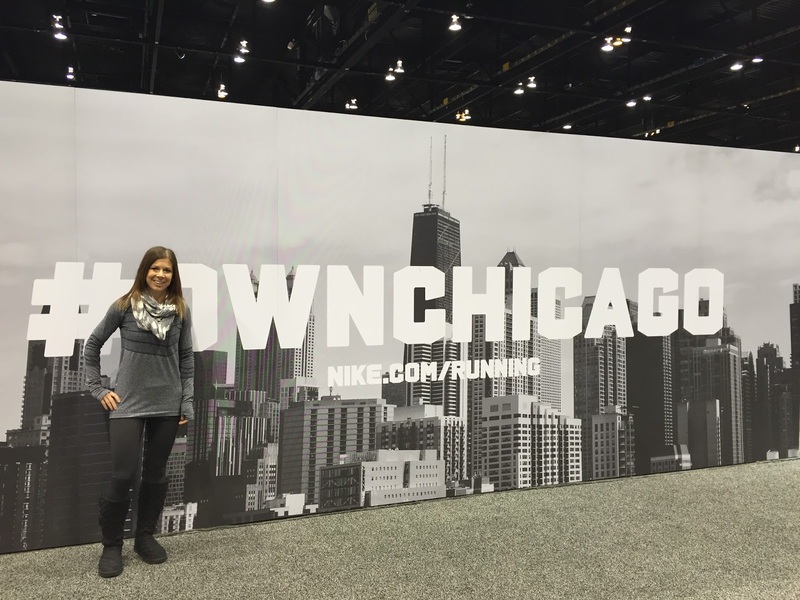 Identity Crisis – Newbie Runner or Seasoned Veteran? [I could insert a lot of words here – including a number of expletives] but ultimately, I think that the most appropriate word is humbling. I started my return to running about six weeks ago. My longest run so far (since surgery) was slightly over 4.5 miles. 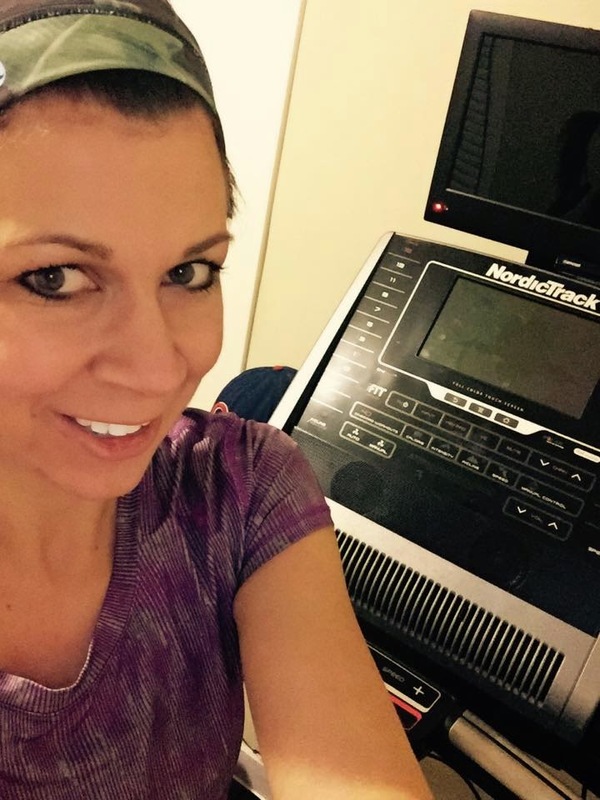 Nearly all of my runs have been on my own treadmill, in the comfort and privacy of my home. Recently, I joined a gym that is close to my office so that I could effectively utilize gaps in my work schedule. Yesterday was the first time since I started running again that I ran at the gym. As I was leaving the locker room and walking to scope out a treadmill, I had a stunning realization. I was scared. I was intimidated. I felt like people were going to stare at me and judge me (my pace, my breathing, my awkward gait). I was self-conscious, in a way that I have never felt with running before. I finally understood how a gym (or running group) could be intimidating. In fact, I avoided the indoor track for that very reason. It terrified me. I have had a number of friends and colleagues over the years explain this to me when they went to take up running. They dreaded going to gym. They talked about how stupid they felt. While I tried to sympathize, I never understood it. Now I completely do. I’m not sure if its a blessing or a curse to have my past experience to draw upon. On one hand, it provides me with the solace that I know that the so-called “seasoned” runners aren’t actually judging me. They are far too consumed with their own workouts than to pay attention to what anyone else is doing. The runners that I know aren’t generally judgmental either – they are just happy to have another person joining their ranks. On the other hand, it made me feel like I had to justify myself. Which is absolutely asinine. And so for the entire duration of my run – this back and forth continued in my head. I think the most difficult thing about being a returning-from-injury runner is that there is the constant need for comparison. I know that it’s counterproductive and unhealthy, but as I huff and puff through my runs, I can’t help go back to a time where this would have been easy. Entwined with that need for comparison is fear – mainly, the fear that I will never get back to where I was. The fear that even after having surgery, nothing has been fixed. It is a strange place to be in. It almost feels like some sort of running purgatory. I don’t know what my identity is as a runner anymore. Am I still a marathoner? A former marathoner? A former and hopefully soon-to-be-again marathoner? For so long, I identified myself by my accomplishments and by my race results. It’s difficult to begin forging a new running identity, one based on completely different metrics. But it has made me realize that running is running. 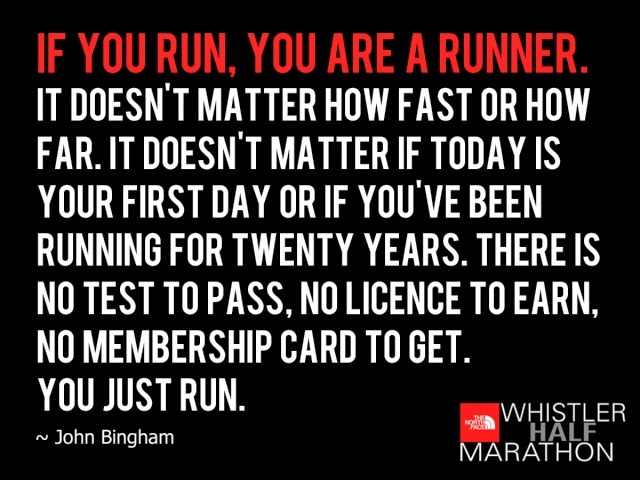 We are all runners. I am still a runner. I have been neglecting this blog. There are a lot of reasons for doing so – excuses mostly. I have not been diligent with my surgery updates. I have drafts of my thoughts sitting in a Microsoft Word document, but very few postings. I started a new job. I have found myself struggling to find the time (and motivation) for even something as minimal as my physical therapy exercises. So here is an attempt to catch-up. In addition to stretching and strengthening, at my 12 week follow-up appointment I was finally cleared to begin a return to running program. This was the appointment that I had been waiting for since having the surgery. 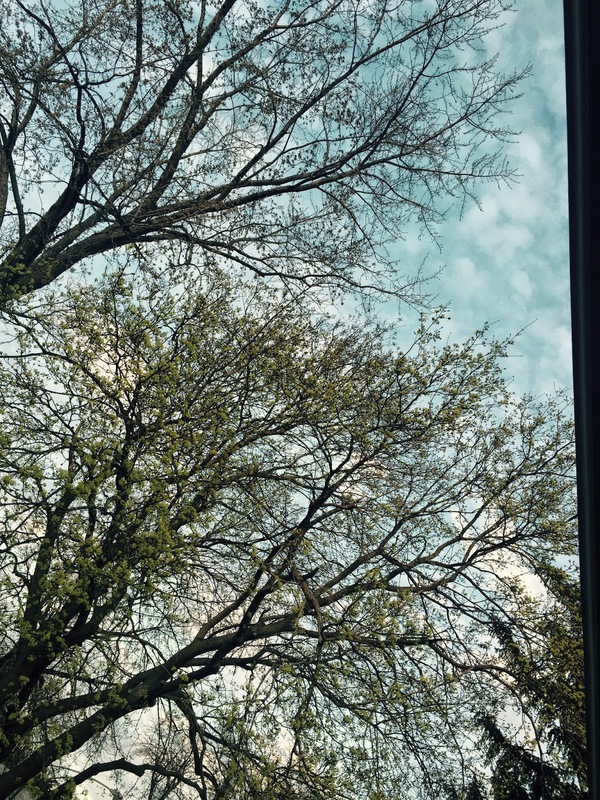 Although I was extremely excited to start building back up, I have found that it has also made me come face-to-face with the elephant in the room (all the things I have been able to avoid by not running) – and all of the corresponding mental challenges. Unexpectedly, this has proven to be the most mentally difficult aspect of the process to-date and by far the hardest to maintain a positive attitude about. While extremely slow, it is running nonetheless and for that I am thankful. 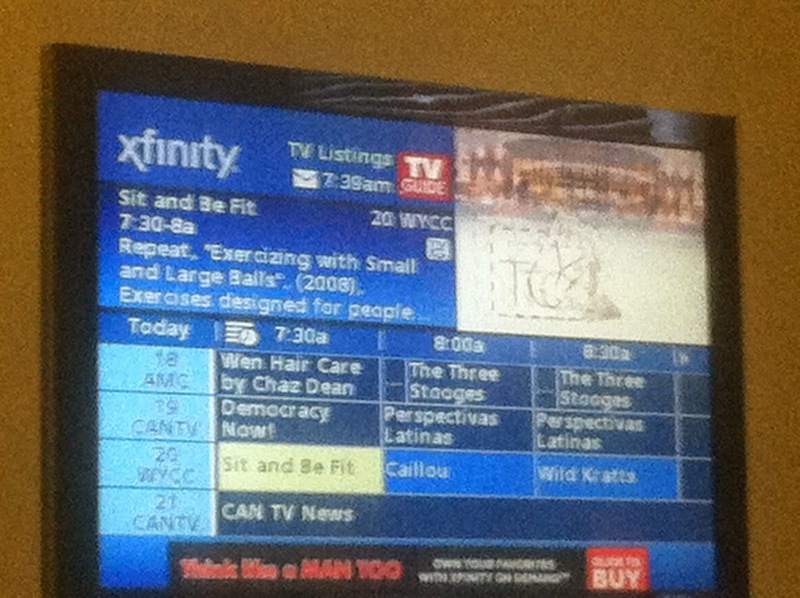 It is also clear how much (read: all) of my fitness I have lost. My current pace (for a single mile) is about 2:00-2:30 minutes slower than my comfortable pace (and marathon pace) pre-surgery. I knew that this was going to happen, but it doesn’t make the struggle any easier. In addition to feeling extraordinarily slow, my loss of endurance adds yet another component. The return to run program begins with a 30 second run and 4:30 walk for 30 minutes. Each session you get to bump up the run by 30 seconds and decrease the walk by the same. I kid you not – even running at a pace minutes slower than my pre-surgery pace, each run session felt like a speed workout. My last session (yesterday) I finally hit 30 minutes of running with no walks. When returning to any exercises regimen, a certain amount of soreness is to be expected. However, post-surgery, it is often difficult to determine what pain is normal pain and what pain is surgery related. The last thing that I want to do at this point is push through the “bad pain.” I also have the constant fear that this surgery may not have actually fixed the problem. So when pre-surgery pain creeps up, I start to wonder whether: (1) it proves that my hip was the issue and it is flaring up from the added movement and will calm down with time; or (2) the surgery (and 7 months rest) didn’t fix anything and there is still some unidentified cause of this issue. My patience has worn thin. I have rested. I have rehabilitated. 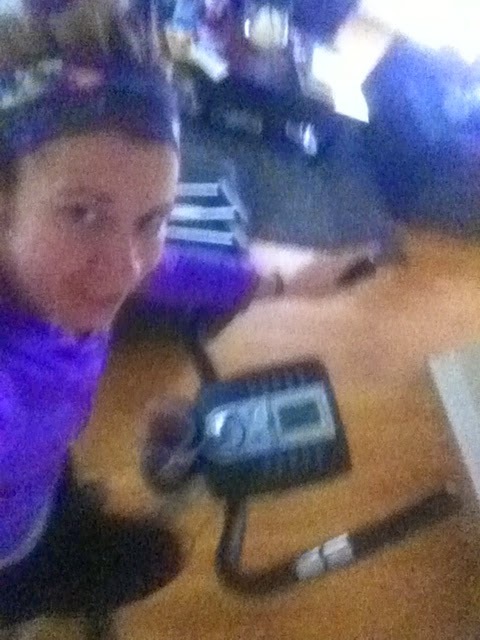 I have slowly bumped up my exercise routine, abiding by all protocols and procedures. Now all I want is a clear answer. To know that I did the right thing. To be able to run again. Compounding these issues are my thoughts about “what could have been.” 2014 was supposed to be a great year full of PRs. Even more heartbreaking is thinking about the Boston Marathon and how hard I worked to get there. The solution isn’t as simple as just re-qualifying. I qualified in 2013 for the 2015 race. There is no way I will be able to get back in BQ shape in 2015 and likely my earliest chance to requalify/run would be for the 2018 race. After missing a BQ in 2012 by 23 seconds, the first chance to actually run it would be nearly 7 1/2 years later?!? I have been toying with the idea of walk/running it this year just to at least have the experience, but I just don’t know. Another vicious cycle. When I am running, I eat healthier because I want to do everything that I can for my performance. Not working out has meant a whole lot of consoling myself with junk food. In the last few months, I have developed incredibly poor eating habits. This is something else that I need to take control of (and ironically is the one thing I did have control of during this off-time and have completely neglected). In sum, it is wonderful to be running again. But it isn’t as simple as that. I know that the key is to not compare myself now to myself pre-surgery. But it is far easier said than done. Because this is where the real fight (and my comeback) begins. One year ago today I qualified for my first Boston Marathon and was in the best shape of my life. This morning I will be going to PT and concentrating on learning to walk again. It’s such a weird feeling to look back at pictures (and my blog entry) from last year’s marathon and think about what a difference a year makes. Yesterday morning, I made sure to set my alarm so that I would be up and ready to catch every minute of the Chicago Marathon. If I wasn’t still on crutches I would have tried to go down to the city to watch in person, but it would have been far too taxing at this point in my recovery. So I made due and set myself up in my reclining chair with a mug of hot coffee, my favorite cozy blanket, and the dog. It proved to be an emotional day and watching coverage of the marathon was bittersweet. At times, I struggled with my own disappointments and I would be lying if I denied shedding a few tears, but all in all I was able to get over myself and get excited for those out there running their hearts out. One of my favorite things about the morning was being able to chat online with my cousin who is currently researching in Cambodia on a Fulbright award. Aside from being ridiculously smart, she is also an avid runner and was up late streaming the race through her computer. Moreover, she has an incredible perspective and is someone I look up to as having overcome the adversity in her own life with nothing but grace and a positivity. Her encouragement helped put me at peace with my current situation and renewed my patience with the whole recovery process. She also pumped me up and made me even more motivated to do everything that I can do now to get myself healthy for the future. NBC does a fantastic job of capturing not only the race itself, but also the spirit of the marathon and the running community. Between its coverage of the actual race, were stories of the “every day” individuals who were running. Everyone out there had a reason and a story – some running for charity, some running for PRs, and some running after overcoming their own personal challenges. I loved watching the wheelchair athletes (especially Tatyana McFadden – she’s amazing), who I never had the opportunity to watch before. 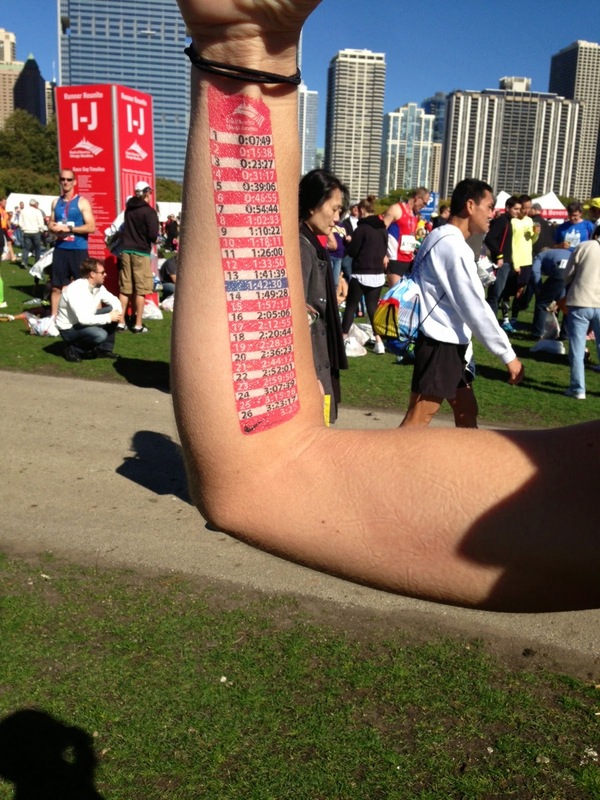 It was a whole new perspective on the race reminded me of why I love the Chicago Marathon so much. While I was following the race on TV, I also used the runner tracker application on the Chicago Marathon webpage to track my friends who were running. It was exciting to see their progress throughout the course and was the next best thing to actually being out there myself. Having run Chicago the last three years, I know every twist, turn and neighborhood by heart. As I watched the little runner icon run through Boystown and Uptown, I could feel the excitement and vibrancy of the spectators. When he made his way back downtown and then through Pilsen and Chinatown, I thought about how crucial those neighborhoods are in giving the runners a much needed boost through some of the most difficult miles of the race. As he tracked back up for the last 5k, my heart was bursting with excitement as my friends made their way up “Mt. Roosevelt.” And when the final race times posted – I thought about how nothing beats that feeling of exhaustion mixed with accomplishment. So maybe it sounds a little motivational speaker-ish and cheesy. But it’s true. And the more I think about it, the more I realize that the majority of my greatest personal accomplishments have come only after overcoming various degrees of adversity. For example, my journey to qualifying for the Boston Marathon was both physically and emotionally trying. In fall 2012 I was injured and missed qualifying by 23 seconds. When I tried again in spring 2013, the race ended up being on an extremely hot and humid day and I ended up suffering heat exhaustion. I ran strong until about mile 17 and then my body completely broke down. I ended up walk-running the last 9 miles and at mile 26 I collapsed. I ultimately finished the race – and ended up in the back of an ambulance shortly after crossing the finish line. I was absolutely devastated. Not once, but twice, I felt like I had “unfairly” missed my opportunity. When I finally qualified in fall 2013 – my excitement was far greater than it would have been had I qualified the year before. Those setbacks also added fuel to the fire. For the next year I worked as hard as I possibly could. It finally paid off – and made finally qualifying that much more special. “Flexing” with my pace tattoo after finally qualifying! The same is true of non-running challenges. 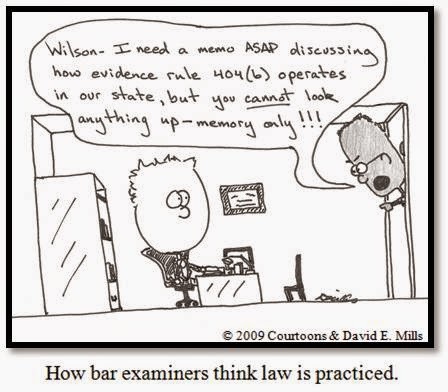 Studying for the bar exam was another such situation. After three years of law school, one would think that taking one more test wouldn’t be a big deal. That’s a lie. To be blunt – studying for the bar exam crushes your soul. It makes you realize how much more there is outside of law school and how arbitrary the testing process can be. And the stakes are huge – because passing the bar exam poses the final barrier between school and the rest of your professional life. While I was able to hold it together for the most part, there were many tears shed along the way. I left the exam absolutely convinced that I failed. When I finally got the results a few months later, I learned that all that self-pity and self-doubt was completely unnecessary. When I ended up taking the bar in another state three years later (long story), I approached studying with a completely different perspective. While it wasn’t anymore enjoyable the second time around, it certainly was “easier” in that I possessed a level of self-confidence that I lacked right after law school. My most recent challenge right now is obviously rehabbing from surgery. 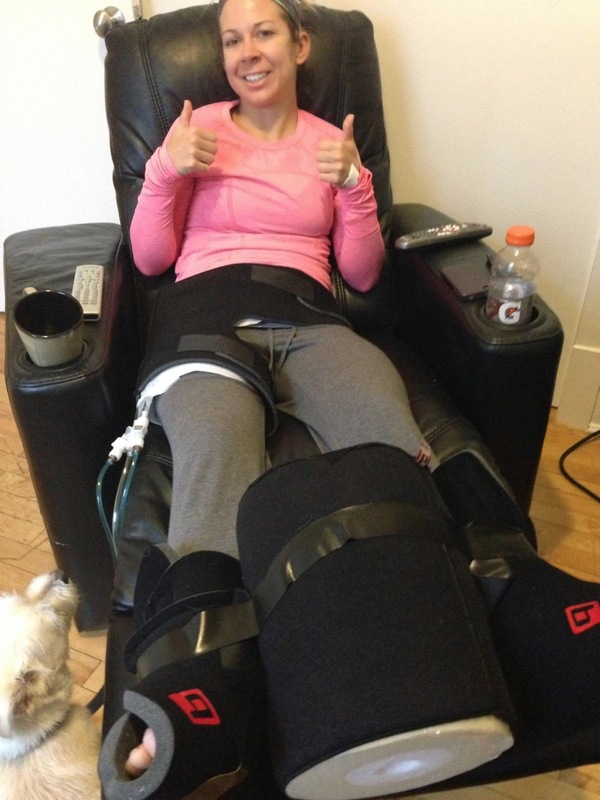 But returning from an injury is just one of many setbacks that a runner may face throughout their training. For some runners, the crippling struggle may be self-doubt. When I was in high-school, I used to get debilitating anxiety before cross-country and track races. I allowed this anxiety to consume me, which ultimately led me to quit running for almost eight years. For some of my friends, it’s not anxiety so much as it is a lack of self confidence. From an outsider’s perspective, it is apparent how talented they are and how much potential they have. But in their heads – they simply don’t believe in themselves. I have also have friends that have overcome incredible external circumstances – from the death of a close friend or family member to serious health issues (not injury related). While the actual circumstances may be drastically different, the commonality between these individuals after conquering these hardships is their increased self-confidence and a renewed appreciation for running. 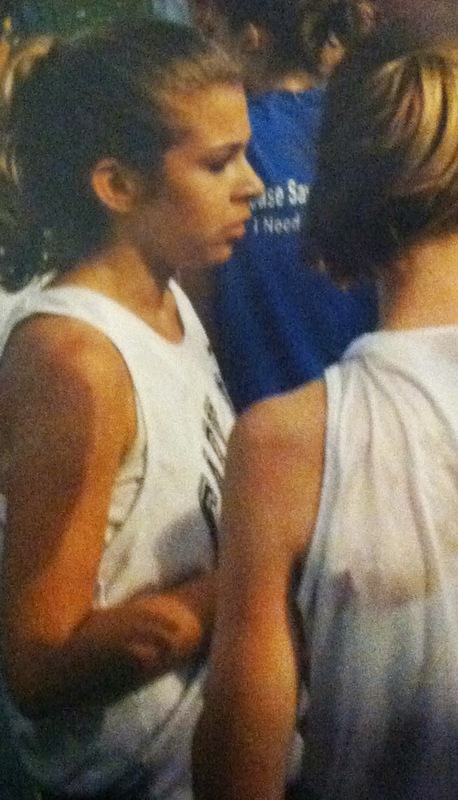 My typical face before a cross country race in high school. I actually found other pictures of me crying, but the images were too blurry to upload. While at the Verizon store yesterday (pre-ordering an iPhone 6!) the kid who was helping me started talking about author Malcolm Gladwell and his philosophy on what distinguishes the “very successful” from “the rest of us.” I have never read Gladwell and have no idea if this kid’s interpretation of his philosophy is correct, but nonetheless, the overall message was good and worth repeating. What he said was that those who see the greatest success are also those who fail (and aren’t afraid to fail) the most. The defining factor is that they just keep plugging along when “ordinary” people would throw in the towel. This conversation came completely out of nowhere – one minute we were talking about data and apps and the next minute the deeper questions in life – but the essence of the message was important to hear. The important thing is the direction of the arrow (moving forward) rather than the various ups and downs along the way. Once we stop expecting things to always go according to plan, or according to various acceptable plans, we leave ourselves open to actual growth. Let go of your expectations and readjust accordingly. The end goal can stay the same – but be willing to change your path. 2. Learn to recognize what it in your control and what is outside of your control. While it’s important to let some things go, it’s just as important to maintain control of those things that you still can do something about. Again using injury as an example – inevitably some things must be let go. The racing season may not end up looking the way you thought it would. It may not even exist at all. It’s wonderful to have goals, but those goals need to be readjusted realistically. Being in denial about an injury will only lead to further pain down the road (literally). But it’s just as important not to throw in the towel. Because even though the season may not have turned out the way you thought, you are still in charge of how the future will be shaped. Have you gone to the doctor? Are you going to PT (and actually doing your exercises at home)? Are you treating your body right by eating healthy? All of these things are still within your realm of control and will set you up for a stronger comeback. 3. It’s not about right now. Look at the big picture. Refer back to the graphs above. If you isolate out any point on the graph, the picture doesn’t look that great, does it? 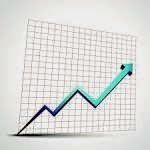 You could be on an upward trend, but if you focus on the dips rather than the inclines, you are missing the big picture. This is true of running (and racing) as well. It’s not ever just about a single race or a single season. Most runners I know don’t commit themselves to running for just a year “just to see what they can do.” Instead, running is a lifelong sport. Sometimes goals will take years to meet. Setbacks are inevitably going to come – better to get them out of the way now, huh? 4. Everything you do affects everything you do. This was something continuously repeated by my high school track and cross country coach and still resonates with me today. It also combines the principles of #2 and #3. Just like we are conscious of every little thing we do when prepping for a race, we must also have the same mindset when prepping for a comeback. I know. Much easier said and done. I am certainly no Polyanna by nature, but I truly believe that the way we frame things in our minds impacts the way that we handle adversity. My new goal has been to keep a gratitude list and commit myself to writing down five things each day that I am thankful for. 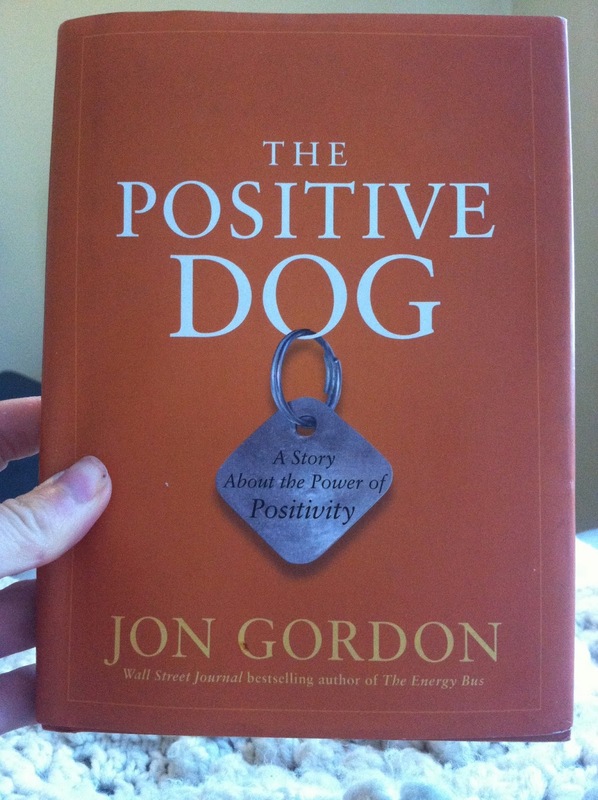 It seems overly simple (and that’s the beauty of it), but it makes sense when you think of positivity as a muscle that needs to be exercised (see my previous post referencing The Positive Dog). Most of us aren’t naturally gifted athletes – I know that I’m not. To get to where I am took years of training. As runners, our sport is just as mental as it is physical. So why not train our minds the same way we train our bodies? Again, these points don’t come naturally to me. In fact, writing this post actually ended up being an exercise in positivity for me since what I really want to do is whine about how much I miss being able to run/work out/ (walk!) But since I can’t do any of those things right now – I am going to utilize the time to do what I can – which means hitting the PT hard and changing my mindset. Because hopefully, post surgery, my own personal line graph is on an upswing. As athletes, much of our training is centered around the concept of muscle memory. This is why most great training plans incorporate marathon pace (or goal race pace) miles throughout the training schedule. 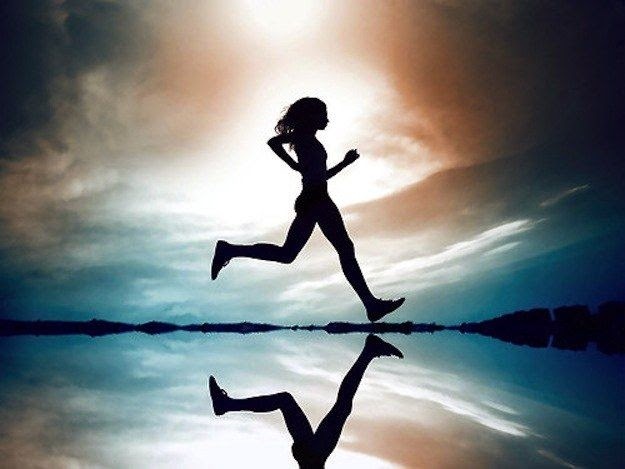 In plain terms, the idea behind muscle memory is that one’s body adapts to repeated stress in such a way that it is able to replicate the task (or in the runner’s case, pace) without conscious effort. While the science behind this phenomenon is far more complex that I am able to explain (there was a reason I went to law school and not medical school), I find it absolutely fascinating how our bodies operate. Being injured has made me especially attuned to my own body. Every step I take, I am thinking about how my legs are moving and am hyper-sensitive to any peripheral aches and twinges. Admittedly, because I had only dealt with minor injuries in the past, I had developed many bad habits – not warming up, not stretching, not foam rolling, not sleeping – generally just not taking good care of myself. Running 50-70 mile weeks, this simply wasn’t sustainable. Combined with forcing outdoor runs in horrible wintery conditions (the stupidity of this is a subject for another day), I was constantly pitting myself against external stressors. Eventually, my body decided that it had enough. While it took years to get myself into peak shape – it only took weeks to lose almost all of my cardiovascular fitness. The few runs I have tried have been extremely humbling. My legs remember the pace they want to run at. Unfortunately, my lungs do not. Today marked my third run in ten weeks. Every step of this run was a battle. My muscles remembered how to run but my legs feel wonky and my lungs burned the entire time. At this point, it’s all about patience. It’s crazy to think that just a few months ago, I was able to crank out a 20-mile run like it was nothing. In the last three months, I have maxed out at 2 miles. But I am absolutely fascinated that on each of these three, very painful runs, my body wanted to jump right back to where it left off. 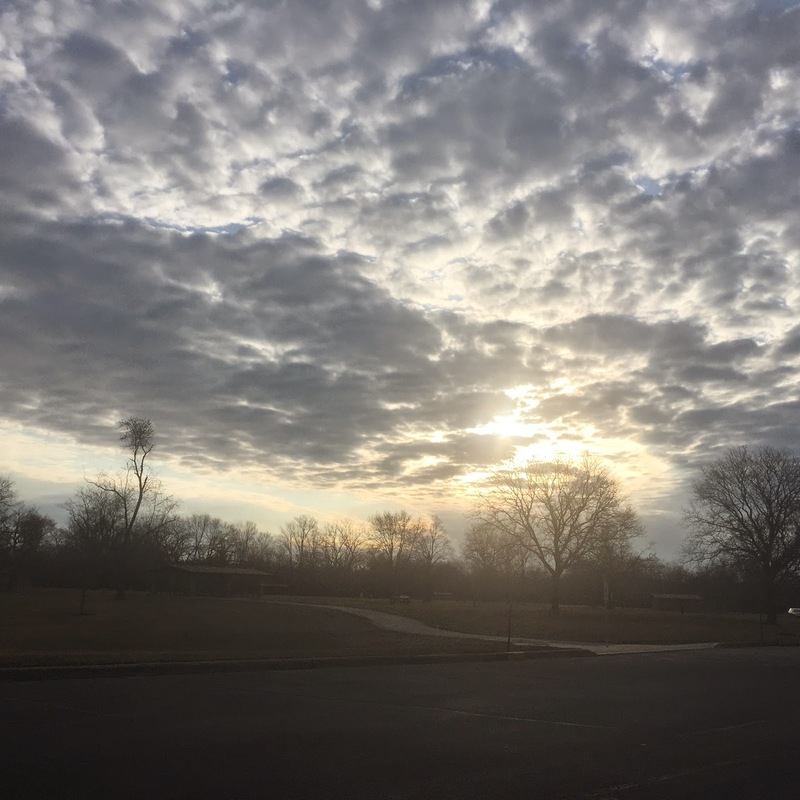 It incorporates an entirely new mental element to my runs – the dissonance between where my body thinks it is, where it actually is, and where it wants to be. When I get back to training, there are so many things that I will do differently. My body works hard and it deserves TLC. Everything I do – pre-run, post-run, and everything in between, will be different. It will be deliberate – no more just going through the motions. Stretching, icing, strength training, cross-training. All of the things I didn’t do because they “took time away from running.” Do you know what else takes time away from running? Being injured and not being able to run! In retrospect, it seems obvious. Unfortunately, sometimes we have to learn lessons the hard way. I can’t wait to be able to push myself again. Not only with running, but in cycling, swimming (or learning to swim), CrossFit, yoga, or any other athletic endeavor I come across. 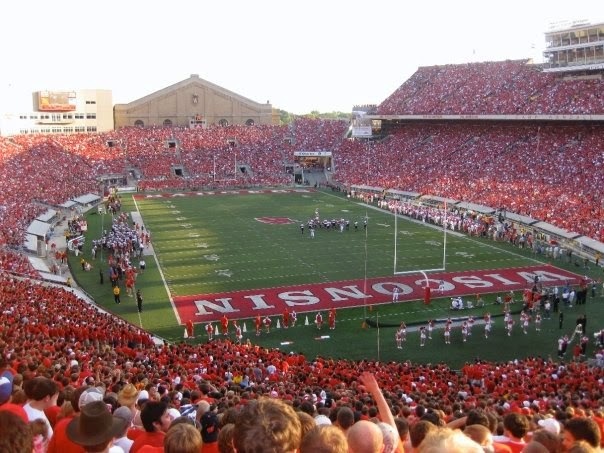 Silver lining – the void in my Saturday mornings is over – college football starts tomorrow!